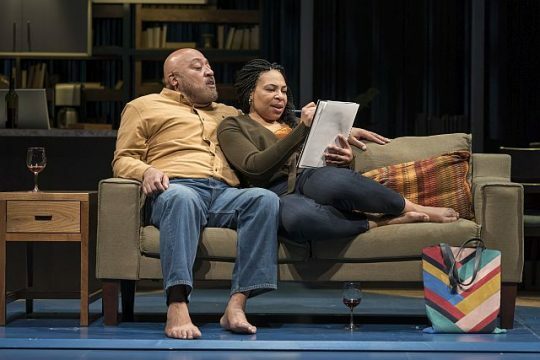 Portraying the 1960’s couple are Chicago actress (Goodman, Steppenwolf, Chicago Shakespeare) Jasmine Bracey as author G.K. Marche and TV and Chicago actress (Victory Gardens, Raven, TimeLine) Ayanna Bria Bakari as her partner, Natalie, a talented seamstress who designs wearing apparel. Regional, Chicago and TV actor Bernard Gilbert who was in “Father Comes Home…” is artist Stokes and Chicago actress Maya Vinice Prentiss (Definition, Pegasus, Teatro Vista,) is Stokes’ girlfriend, Riley, a computer guru. The two of them interact in the present time with the couple who open the show, Griffin and Tami. Broadway and Chicago actor Keith Randolph Smith is Griffin, recently released from prison for a crime he did not commit and is adjusting to his new life. His good friend, Tami, an artist and an art academy director, is played by longtime Goodman and Chicago Shakespeare actress Karen Aldridge. The title suggests the play can be a guide to creation in some form and fulfillment can take on many different forms. But the underlying theme here is creation in its most human form, creating another human. 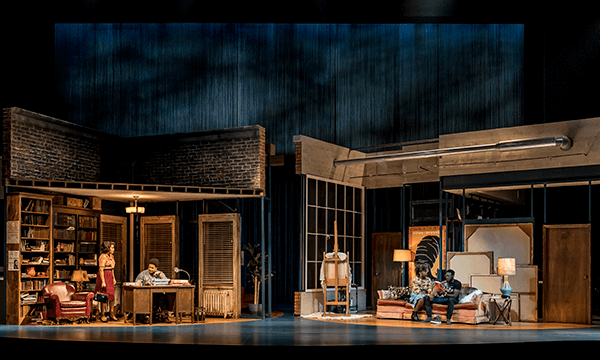 DETAILS: “How to Catch Creation” is at Goodman Theatre, 170 N. Dearborn St., Chicago, through Feb. 24, 2019. Running time: approximately 2 hrs., 15 min. with 1 intermission. For tickets and other information call (312) 443.3800) and visit Goodman Theatre.